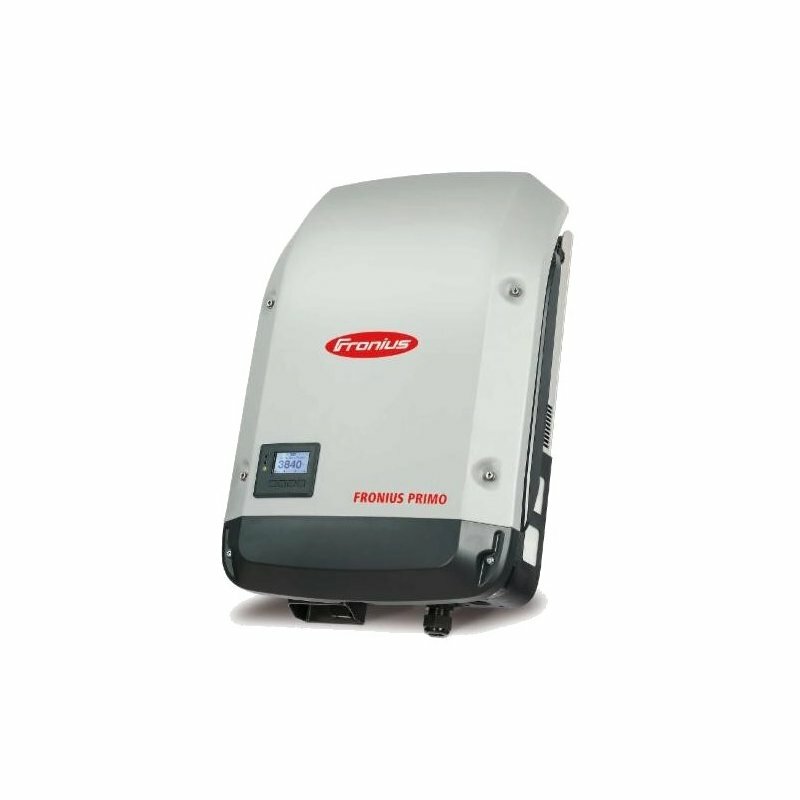 The new Fronius Primo is a lightweight, transformerless, single-phase inverter that allows for fast installation and easy setup. The Primo utilizes the new Fonius SnapINverter™ hinge mounting system, which allows for tool-free attachment and removal of the inverter from the wall mounting plate and integrated disconnect, making it practical for one person to install. The NEMA 4X enclosure allows installation in harsh environments. The built-in WiFi Fronius Datamanager card enables Internet monitoring via the Fronius Solar.web portal on computer or smartphone. The RS485 port can also be used when a Wi-Fi network is not available. Note: Customer must provide broadband Internet connection. Fronius Primo inverters are covered by a 10-year warranty, which can be extended to 15 or 20 years. These transformerless inverters work with an ungrounded PV array topology so the requirements of NEC 690.35 must be followed, including using PV Wire for exposed array string wiring.